Check Back for Our Upcoming Events for 2019!! Materials fee and ½ class fees due a week in advance. Balance of class fees must be paid in full by the 1st night of class. Cancelations must be received 1 month in advance in order to receive a class refund. NOTE: Classes MUST have a minimum of 4 participants, no exceptions. Get a friend to join a class with you and both of you will receive a Calerin Forge T-Shirt! 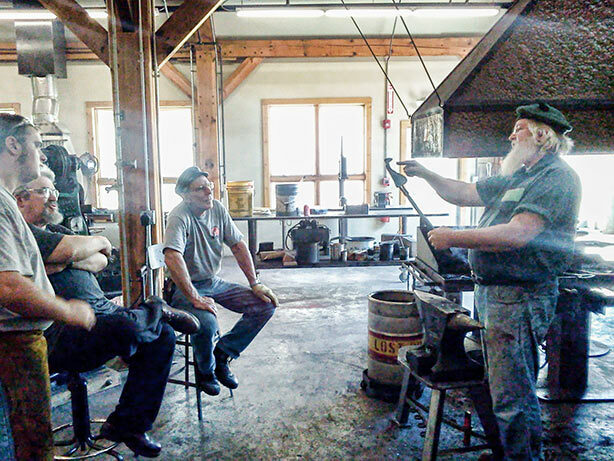 This class will introduce students to the basic skill set necessary to successful forge work. The class is project driven and fast-paced. Participants will leave with a hands on knowledge of basic forge craft including heat treating and tempering of carbon steels. Students will learn basic forgecraft fundamentals while making practical and useful items for the homestead. In this 1 day intensive class, students will learn basic forge-craft and will complete a high carbon knife with scale handles. They will also learn to finish and heat-treat their knives. 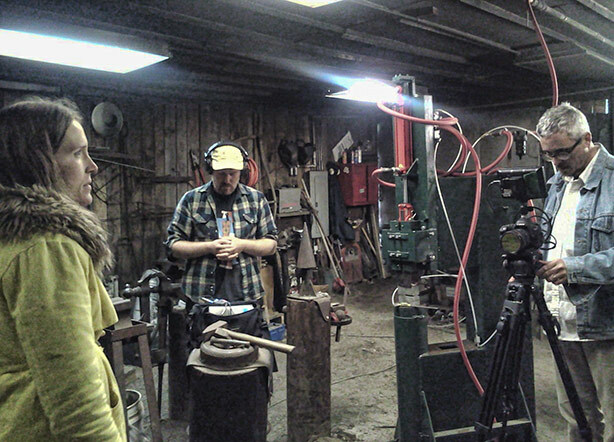 Students will learn to forge a complete set of door hardware, strap hinges, thumb latch, and handle. 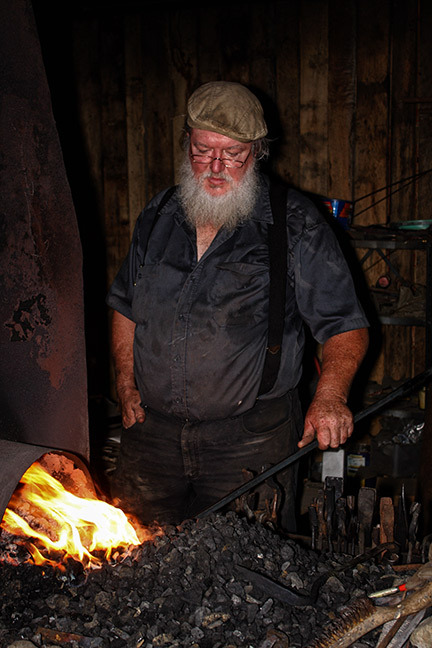 Students will learn to forge a billet of mixed high carbon steels and forge an 80 layer Damascus knife including heat treatment, etching, and attaching the handle. Basic blacksmithing and knowledge of forge welding required. Students will learn to make a series of projects designed to teach basic forgecraft and that will be suitable for gift-giving.